I had such a great time at Eastern beach and here is how it started. On Monday 27th of February the whole school went to Eastern Beach for a picnic. There were lots of teachers and parent helpers that were coming. In our class we had Isabella’s Aunty Eme come, Aryans Grandma, Juliano’s brother Tom and Keri. All the classes lined up in front of their class to get ready. When we went into the driveway there were no buses. I was not that happy because I was really excited, I could not wait to go on the bus. On the bus I sat next to Caitlin and Liantre. It was so boring in the bus, but I was still excited. When we were near Eastern beach everyone on the bus saw flash houses. When we got there I saw nice golden sand with pretty shells and and a big blue sea with a nice hot sun. I was so happy. The first thing we did was eat some morning tea and wait for the others to arrive. When everyone was there Mr Johnston told us some rules to follow and introduced other activities. The sports were Baseball, Rugby and Volleyball. 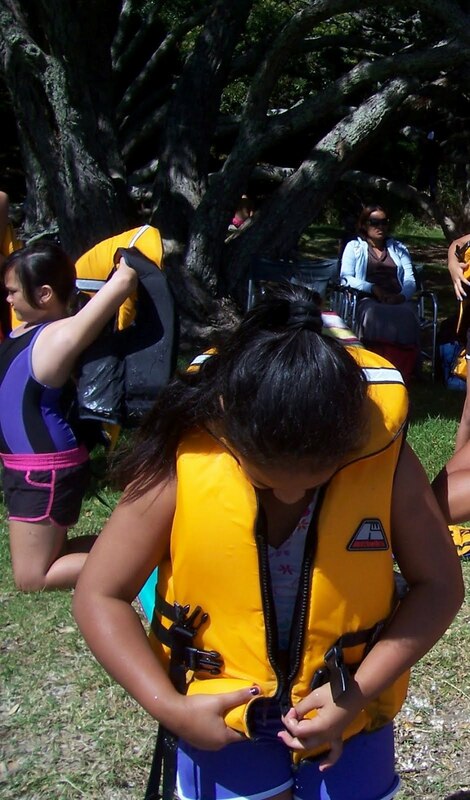 There was also a life jacket drill. The first class to go swimming was Room 1 and the first class that went to go to the life jacket drill was Room 8. When I was waiting to go swimming I sat with my Aunty and Caitlin. When I heard Mr Johnston I thought that Room 5 was going swimming but this was not the case. It was Room 7 that was taking part in the life jacket drill and Room 8 going swimming. When I was waiting to go swimming I played vollyball with Asmah,Nicola and Fine. When we were playing it was weird because there was no net so we just played with the ball. In the middle of the game Miss Paton told Room 5 to get ready to go swimming. When she said that I rushed to my Aunty to get ready I was so excited. I ran to go swimming but I forgot my goggles so I had to go and get them from my swimming bag. When I got back I saw Room 7 getting out and going swimming with no life jackets and Room 8 swimming out. Our first activity was life jacket drill. When I got one it was soaking wet. Mr Johnston showed us how to put on the life jacket. When he was finished talking I put on my life jacket then I jumped in the water. It was like a sea with ice blocks. I was swimming with Isabella and Fine. I got use to the water when I stayed in there. Ms Kirkpatrick,Mrs Huggins and Mr Johnston took turns on a canoe. When we were swimming Ms Kirkpatrick was on the canoe. We got told to go further and further by Ms Kirkpatrick because we were still near the sand so me and Isabella had a race. After we had finished our turn with the life jacket it was Room turn and us Room 5 went swimming with Room 7 with no life jackets. When I went swimming I swam with Leenas and Germaine. When we all finished we got some lunch to eat. We had only got 30 minutes to eat or more. When we were finished Mr Jonhston said that we could have our last swim so me Leenas and Gemaine went to go have our last swim. This time Mrs Huggins was on the canoe and some people even tried to get on it. Then I little while later Mr Johnston said to get out and get changed. So I went to my Aunty and got dressed. After that my Aunty told Miss Paton that I was going home and not going on the bus back to school I was going Mc Donalds and going home to have a shower. Next year I hope to go back to Eastern Beach again.